An orphaned child with little or no prospects, Pip expects very little from life. His sister makes it clear that her little brother is nothing but a burden on her. But suddenly things begin to change. Pip's narrow existence is blown apart when he finds an escaped criminal, is summoned to visit a mysterious old woman and meets the icy beauty Estella. Most astoundingly of all, an anonymous person gives him money to begin a new life in London. Are these events as random as they seem? Or does Pip's fate hang on a series of coincidences he could never have expected? 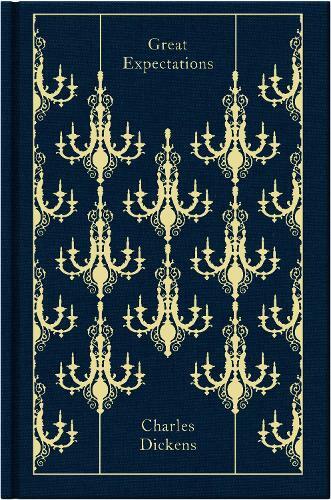 View other titles in Penguin’s Clothbound Classics Collection. Credited by some with inventing the detective novel and one of the most popular novelists of his day Charles Dickens remains one of the best-loved novelists in the English language, whose 200th anniversary was celebrated in 2012. His most famous books, including Oliver Twist, Great Expectations, A Tale of Two Cities, David Copperfield and The Pickwick Papers, have been adapted for stage and screen and read by millions.